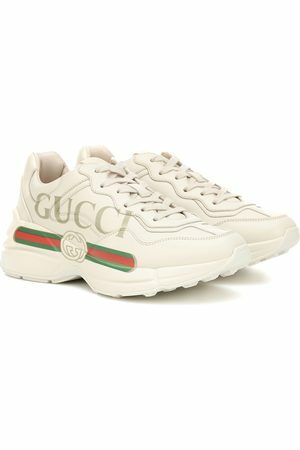 Due to demand, there have been so many different versions of Gucci's 'Rhyton' sneakers since the shoe debuted in 2018, but this has to be the most statement pair yet. Made in Italy from supple black leather, they're emblazoned with archival logo lettering in a holographic font inspired by the '80s. They're grounded by thick rubber soles that are really light and bouncy.